1950s Australia and the conservative starch is stiffening the fabric of society. Michael Keogh, son of a federal cabinet minister, feels out of place and time. His father wants to be seen in a good light, and that means Michael is part of his political and social ambitions. Increasingly isolated from those around him, Michael seeks refuge in the beauty and bush of Sydney harbour. Into his lonely world comes Virginia Smythe, a girl who teaches him that there is more to life than is apparent and that friendship can grow from the most chance of meetings. Harbour Glimpses is the story of a year when life looked as if it could and did change irrevocably. The book is available as an e-book from Amazon and Kobo. Other formats are also available around the world. Check out your favourite book portal. ‘I have spent much of my life in fear of three angry men: God, my father and myself’. So opens an exploration of familial and religious conflict in a Roman Catholic family. The shadow of God and Scully’s father Ken, an irascible, drinking journalist and author, falls over the confusing legacy of perfectionism, failure and disappointment in the light of a vibrant religious faith and Irish heritage. The book tells the story of a relationship strained by reticence and volubility. Ken Scully was for many years a cornerstone of Roman Catholic journalism in his native Australia. For nearly thirty years he worked for the Catholic Weekly, finishing as the paper’s editor and later receiving a papal knighthood. On his death in 2005, I was given the task of quarrying the contents of the Aladdin’s cave that was Ken’s office. The haul was prodigious – decades of scribblings, published articles (often torn from newspapers), manuscripts of novels and plays, correspondence and ephemera. Ken Scully was a complex and, in some ways, a troubled man. He possessed an explosive personality, yet he was also generous, erudite and entertaining. I have been told that, in some ways, I share many of these traits. 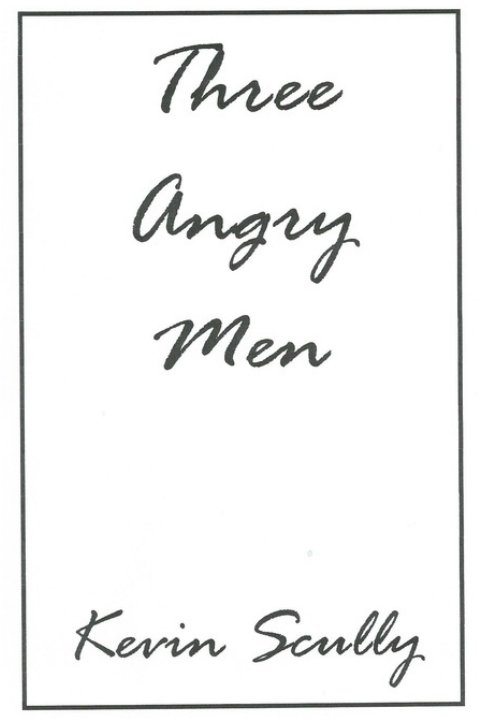 Three Angry Men is a personal recollection of faith, a man and his son. It seeks to unravel misunderstandings and show a way to loving, tolerant God who, at the same time, seemed to be a harsh judge. Here is an invitation to travel the road to Calvary, breaking through layers of assumptions and familiarities to see, smell, touch, taste and hear the happenings surrounding Christ's suffering and death. Five meditations encourage readers to enter into the story, using their minds and bodies to draw them deeper into last hours of Jesus. Published by Triangle Books, an imprint of SPCK, in the United Kingdom and Upper Room Books in the United States. We live in a sense-luscious world and yet many Christians have underplayed this dimension of life, linking it to the sinful flesh and the evil realm of pleasure. It is important to remember that Jesus related to the world through the radar of his senses. Scully has done us a great service by helping us focus on the feeling textures of life and death as experienced by Jesus Christ. Sensing the Passion: Reflections During Lent by Kevin Scully will change forever the way you experience the last days of Christ. - Frederic and Mary Ann Brussat, Spirituality and Practice. 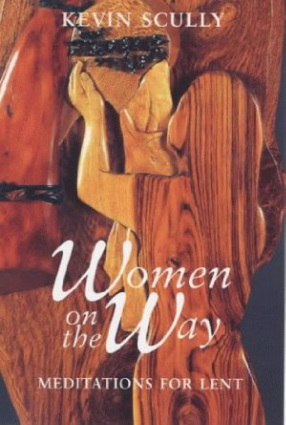 A series of meditations encouraging readers to delve into the background of women - both Biblical and legendary - who encounter Jesus on the Via Dolorosa. Each encounter within the Passion is used as a springboard to other events in the ministry and teaching of Jesus. Those featured are the woman with the alabaster jar, Veronica, the women of Jerusalem, Mary - the mother of Jesus, and Mary Magdalene. Readers are drawn into consideration of the concern Jesus had for women, as well as the way in which he loves, rebukes and encourages many of those with whom he comes in contact. What does is mean to say that God is at work in the world today? 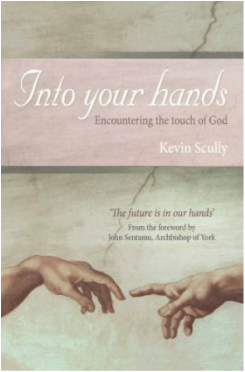 This book seeks to explore how the hand of God can be seen to interact with the actions of human beings, who are themsleves acting as 'God's hands' as they go about their daily lives. A concluding section focussing on the events of Jesus's death and resurrection, we see his broken hands outstretched to bring healing and salvation, as the mystery of redemption unfolds. The book is published by BRF. Scully makes a case for the non-scriptural Veronica, and his treat­ment of her is compelling. The same can be said for his appreciation of the part played by Mary in the story of Christ. In addition to the Stations, he also makes use of various works of art, and even mentions Mel Gibson’s by no means universally admired film of the Passion. Each of Scully’s chapters is ac­companied by a brief section of questions and exercises, which could be used individually, but better still in a group. This makes the book an excellent practical instrument for parish groups. - David McLaurin in the Church Times. From an angel appearing to a teenaged girl to give her the shocking news of an unexpected pregnancy, to the sudden appearance of mysterious 'wise men' following a star in search of a king, the Christmas story can feel so familiar that we can forget just how outrageous - and humanly speaking, impossible - its many twists and turns really are. The books sets our to startle readers into appreciating the truly world-shaking events of Christmas. In doing this, it gives a stark challenge to a consumer driven culture. I read this book reluctantly out of a sense of duty to a friend - my heart usually sinks when I realise I have been given a Christian book - but I ended up surprising myself by enjoying it and even laughing out loud. I would happily recommend it to those wanting to explore the events of the Nativity in more depth. - The Flaneur of the East End review on Amazon. What do the theatre and the church have to teach each other? In what ways can drama and liturgy share common insights and practices? How may those who gather for plays or for worship be better served by the people who lead them? Imperfect Mirrors follows an experiment when Kevin took the stuff of church ritual into a theatrical rehearsal room in Sydney. The book, published by Shoving Leopard, offers a series of illuminating reflections on the theatre and church, tackling subjects as diverse as Zen, Kabuki and the Mass; Hamlet's advice to the players on speaking in public; the relationship between space and performance:and parallels between the training and works of the actor and the priest. 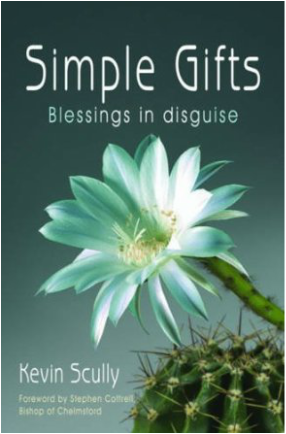 Drawing on scripture, song, poetry and insights from daily life, readers are asked to consider different aspects of simple gifts - positive and negative. Friendship, grief, hospitality, tears and humour are among the ten gifts that are considered to give blessings upon our lives. The book, published by Darton Longman and Todd, is a collection of essays responding to the book's subtitle: Why the killing of Jesus really matters. Kevin contributed the chapter Embodying The Cross in the Church of the Bloody Useless. This collection was a joint project by the Society of Catholic Priests and Affirming Catholicism, looking at the wider sense of vocation in life and the Church. The Call of Jesus was the chapter penned by Kevin, who was also a member of the editorial panel overseeing the book published by SPCK. 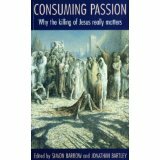 This was a Lent book prepared by Churches Together in Britain and Ireland. Kevin was a member of the editorial panel which was drawn from a wide range of denominations. It was his first experience of writing by committee. It is a mixture of reading, reflection and activities.